possible prices - the home of Great Value! Spiral staircases are great for saving space and beautifying the interior of your home, but do you know they can be installed outside too? If you want to improve access to your outdoor space or simply add value to your home, installing an exterior spiral staircase is the way to do it. 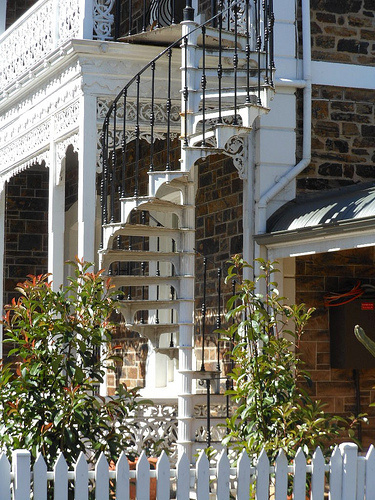 Here we will explain a number of benefits of installing an external spiral staircase. Many flats and apartments share a garden, with the people on the top floor having access via an external staircase. If your garden or courtyard is not very large, installing a spiral staircase can help to maximise its space. Not only that but it will look much more visually attractive than your average set of ‘straight’ stairs. 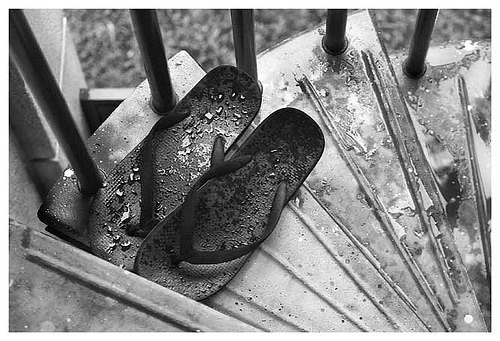 Spiral staircases outside make it easy for you to get to your swimming pool. Another practical benefit of installing an external spiral staircase that leads down to your garden or patio is that it can be used as a fire escape. In the case of an emergency, it is good to know that you have another way of safely exiting your home. If you are lucky enough to have an outdoor pool in your back garden, a spiral staircase that goes from the balcony of your bedroom to the poolside will enhance the luxury feel of your property. It will mean that when you are finished in the pool, you can simply head up to your room using the spiral staircase, preventing you from having to traipse pool water all over your carpets and wooden floors. Providing easy access to your outdoor decking or patio with an external spiral staircase is a great way to add value to your home. Practical and visually appealing elements like this are what people notice and remember when they look around your property, so you never know; it could be what helps to sell your house in the future! With so many benefits, it is no wonder that an increasing number of people are installing exterior spiral staircases. If you would like to reap the benefits of an exterior spiral staircase too, you can choose from our wide range of easy-to-assemble kits. Our exterior spiral staircases come in a number of different sizes including 1200mm, 1400mm and 1600mm, with something to suit all applications. They also have galvanised undercoats and heavy-duty powder coat finishes preventing metal from rusting and ensuring they are robust and ready to tackle all weather conditions. For more information about our exterior spiral staircase kits, feel free to contact us on 0121 351 1533. Gamia Zink spiral staircase – the best choice Exterior spiral for the UK! How does a Space Saver Staircase kit work?